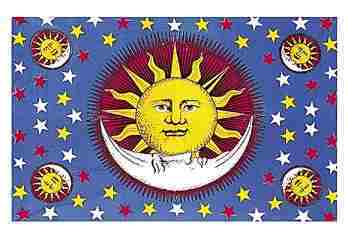 This celestial themed tapestry would look great on a dorm or apartment wall. It measures approximately 55" x 80". Our tapestries can be used for wall hangings, bed spreads, a throw over your couch, table cloths, and much more.